Sheldon's Timber Kitchens are a family business dedicated to turning your vision into a beautiful and functional reality. Grant and Amanda Sheldon believe the personal touch is what's important, and work closely with each client to ensure complete satisfaction. Grant's involvement in every aspect of the job from design concept to installation is added assurance that you will receive the outstanding results that you expect. Sheldon's manufacture their own products wherever possible, and are not restrained by standard modules and sizes. Each kitchen is a one off design, a reflection of your lifestyle and personality. There is a vast range of organic and man-made materials to consider when planning your kitchen. The Sheldon team are accustomed to working with new and recycled timber, artificial and natural stone, stainless steel and wrought iron, glass and tiles; from the latest high tech coatings to oil and wax, rusticated to modern slick. Or run your ideas past them, they love a challenge! From contemporary to classic and anything in between, or beyond... the Sheldon team are committed to making your kitchen environment truly work for you. Contact Grant and Amanda today for professional and creative advice with regards to the most important room in your home. GJ Morgan Kitchen have been involved in the kitchen industry for over 30 years. We pride ourselves on stylish designs, quality construction & great customer service. We can help you with the right advice – our experience has given us some great insights into what works and what doesn’t. Of course, we’re also in touch with all the latest trends, materials and finishes. Unity Kitchens bring the right trades, services and products together to service your new kitchen needs. Our focus is on the little things that add up to make a great final product. Stone Obsessions fabricate and install premium quality custom made Stone Benchtops. We are a local Company trading for over 20 years, and we pride ourselves on quality workmanship, professional installation and friendly, knowledgeable and helpful design advice. Our Tradesman are fully trained and qualified, and you will have peace of mind that your new kitchen (or vanity, wardrobe, study or entertainment units) are manufactured here on site by the tradesman who installs it. We will handle the smallest job through to the largest renovation or new build. Call into our showroom or call us for your next project. We stand behind our reputation - we rely on recommendations, referrals and repeat business, and see no need for gimmicky advertising, we would love to help you with your new project. Specializing in custom built, made to measure Kitchens and Joinery individually designed exclusively for you. We pride ourselves on quality to the highest standard possible in the industry, we are proud of our achievements to date. Our reputation is very important to us. Nadin West Joinery is one of the most reputable locally owned companies in Newcastle for commercial & Custom Kitchen projects, we custom build all products on site at our factory and office located in Bennetts Green. We employ a total of nineteen people, including our own labourers, site installers and apprentices. Nadin West Joinery Newcastle, Bennetts Green, specialize in commercial joinery and custom made kitchens. We use a whole range of suppliers including: Laminex, Formica, Polytec, Hafele, Blum and use a number of different materials to suit your project including Glass, Laminate, Granite, Caesar Stone, Quantum Quartz, Silestone, Corian, Freestyle, Stainless Steel, Glulam, Melamine, Vinyl, Polyurethane 2 Pak, Timber Veneer, Solid Timber. Our staff are fully qualified tradesmen, building and installing your Joinery. Our installers are not obtrusive and are fully trustworthy on your premises or in you home. We can organize other tradespeople (Plumbers, Electricians and Tilers) to work with us to have your project completed within the shortest possible time so as not to disrupt your everyday busy lifestyle. All Aria kitchens are manufactured in Newcastle. As a local company employing locals, our commitment is to support the community in which we live and work. Our cabinets are made with quality Australian manufactured board, made to Australian standard and have a 25 yr cabinet warranty and lifetime hardware warranty. As a custom made specialist, we can supply and install any width, height or depth cabinet ensuring your kitchen or laundry has maximum storage and functionality from the space available. 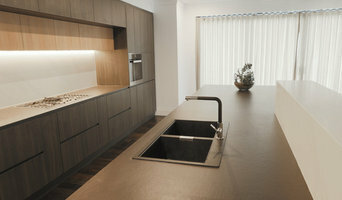 Aria kitchens are a functionality centre in conjuction with Hafele Australia. Our showroom has the latest European trends on display featuring products from Laminex and Caeser Stone. 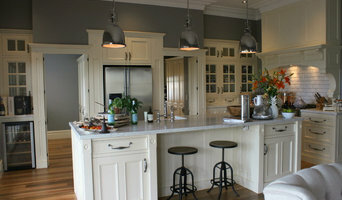 Active Kitchens & Joinery is one of the Hunter’s leading custom kitchen and joinery manufacturers. Our joinery products are made and installed by our own tradesmen, ensuring the highest level of quality and attention to detail. Utilising a wide range of material suppliers we can ensure that whatever you desire, we can create it. The Kitchens for Living difference is that we offer you a personal, professional opinion and we listen. We take your ideas and combine them with our experience to create your ideal kitchen dream. If you’re looking to renovate your existing kitchen or planning to design something beautiful for your new home, we have designers ready to work with you. 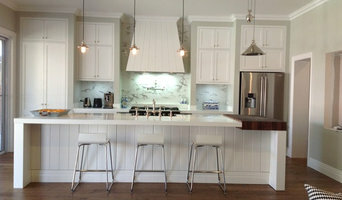 We are a local business with over 20 year’s experience in kitchen designing. Our designers have a natural flair for creating beautiful options to suit any sized space or budget. At kitchens for living we pride ourselves on our personalised customer service and exceptional quality. One of our most recent customers shared with us her excitement at working with such a professional company that cared about the small details, she loved her kitchen and thoroughly enjoyed the service she received from Kitchens for living from start to finish. Designer Bathroom and Kitchen Renovations near Lake Macquarie, NSW Our showrooms at Fennell Bay are run and organised by our company owners, who have over 45 years combined experience in kitchen & bathroom renovations and installation. While there, you can basically organise everything, including all associated trades such as plumbers and electricians and the removal of existing cabinets, floors and tiling. If you are ready to begin a kitchen renovation or bathroom project, contact Lakeview kitchens today! We can provide you with a price quote on our renovation work. Do you want to build a luxury kitchen? Maybe something a little more humble like a remodel to update? Vista Kitchens Newcastle has the solution for you, from new builds to face lifts and everything in between and when it comes to a custom kitchen, Vista Newcastle is the best choice. Why choose vista? Simply because we care, aside from the fact we use only locally sourced Australian boards for your cabinetry and the highest quality German made components with a life time guarantee, beyond that we have a team of leading designers to help you make the right decisions with every aspect of your new kitchen, and it’s not even the fact that we have a huge range of beautiful surfaces and fixtures to compliment your perfectly designed kitchen. The difference at Vista Kitchens Newcastle is because we are local we understand you and your kitchen. There are many types of kitchen professionals in Newcastle, New South Wales – from cabinet makers, to carpenters and interior designers – and many trade professionals offer a full suite of expertise. Depending on the size of your kitchen renovation, and the kitchen designer, they may also hire contractors on your behalf and manage the project from beginning to end. Here are some related professionals and vendors to complement the work of kitchen & bathroom designers: Kitchen & Bathroom Fixtures, Appliances, Tile, Stone & Benchtops, Joinery and Cabinet Makers, Carpenters. 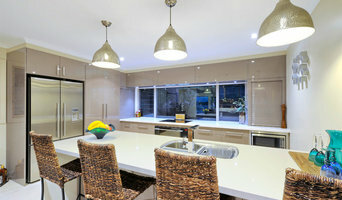 Find a Newcastle, New South Wales kitchen designer on Houzz. Browse the Professional section on Houzz to find kitchen designers in Newcastle, New South Wales. Then, scroll through photos of their latest kitchen renovations and see how their work compares to the scope of your project. You can read reviews to see how other homeowners rate their work, and message them directly to to ask any specific questions.